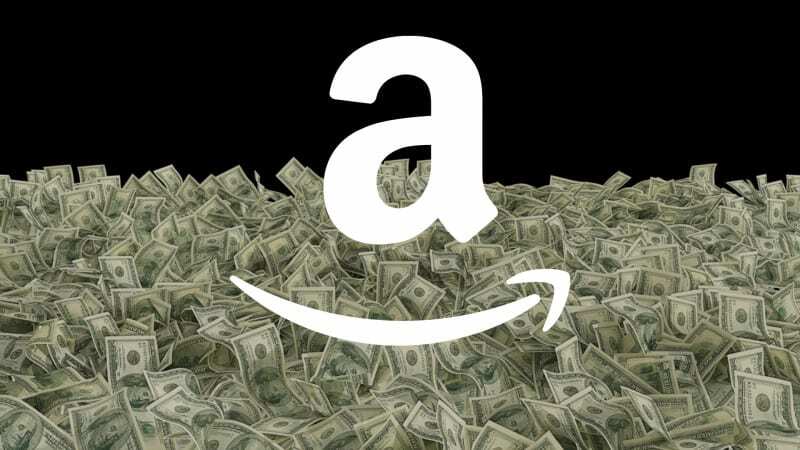 For the past few years, Amazon’s ad business has often been talked about as a sleeping giant. Well, the giant is awake and ready to stretch out. Amazon’s advertising business is just getting going, say analysts. A note to investors from Piper Jaffray finds that advertising will surpass the company’s juggernaut cloud computing business. “By 2021, we believe it is likely that advertising operating income will exceed AWS [Amazon Web Services],” analyst Michael Olson wrote Monday. Olson expects advertising income to reach $16 billion in 2021 compared to AWS at $15 billion. Amazon’s dominance in product search is driving the growth. “Being the world’s largest product search engine has its advantages and Amazon is starting to leverage them,” wrote Olson. Amazon sellers and customers alike will notice the increasing prevalence of ads in the search results on Amazon.com that drive users to product detail pages on the platform. There are more than 5 million sellers on the platform, all vying for visibility and sales. Amazon took a page from Google’s playbook. Advertisers selling on Amazon can buy keywords related to their products and reach users as they are searching on the platform. Leveraging query intent with ad formats that include product images and ratings and that link right to the merchants’ product detail pages has set Amazon’s ad business on a path to rapid growth. 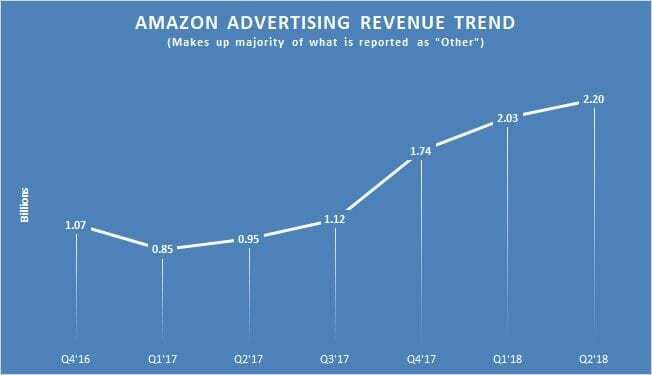 Amazon ad revenues topped $2 billion in Q1 2018. Source: Amazon quarterly earnings. Amazon’s offerings are still nascent. While its search ads are the most visible of its advertising offerings, Amazon’s advertising business consists of three main products. Amazon Marketing Services (AMS) is the search ads business for sellers on Amazon to promote their products. There are three search ad formats: sponsored products, headline search ads that show at the top of search results and product display ads that show in a number of locations, such as product detail pages, the right rail of search results, and even in marketing emails to Amazon customers. The company recently began beta testing video ads in search results. The keyword-targeted video ads can drive users to product detail pages or custom landing pages hosted by Amazon. Amazon Media Group provides managed services for brands on and off the platform with video and display options on its properties, including Amazon, Kindle and Fire TV, as well as a wider network of sites. A DSP called Amazon Advertising Platform (AAP) offers programmatic access to Amazon audiences on other sites. This mix of options can make it difficult for advertisers to figure out where to get started, and Amazon’s AMG and AAP offerings are still somewhat under the radar for many brands. Amazon is working on merging these products into one, according to a Digiday report. As these offerings have begun to mature, a new platform should be more robust, easier to use and support more campaign automation. As Amazon’s ad business grows, one question will be where advertiser budgets come from — incremental, merchandising, digital or traditional ad budgets — and how that will affect the digital advertising landscape. In 2017, Google reported roughly $94 billion in ad revenue; Facebook reported just under $40 billion. If Piper Jaffray’s Olson is on the mark, Amazon’s ad business, at $16 billion, would still be a fraction of where those two industry leaders stand now. But it’s already ahead of Verizon’s Oath, for example, which reported $1.9 billion in revenues in Q2 2019. The post Analysts say Amazon’s advertising business will surpass AWS by 2021 appeared first on Marketing Land.